Excuse the weird posing, I had to go through all my archives to find a half decent photo of these dresses! First dress is a classic oldie that I can't really live without. From New Look's basic collection, it's a t-shirt shaped dress with light cotton fabric in grey. This dress is so versatile, I'm wearing it during the winter with tights and boots then sandals and a denim jacket during the summer. Plus it's the perfect dress for travelling with as it barely creases! As the whole 70's mini skirt and dresses trend is coming back for this autumn and winter, I'll probably be dragging this favourite out again. I got this from Topshop a few years ago but still love it. This dress does crease like anything, but I'll forgive it for its amazing cut and shape. It has buttons going all the way down, so getting in and out can be a little tricky, but it does sit just perfectly on my shape without swamping it. 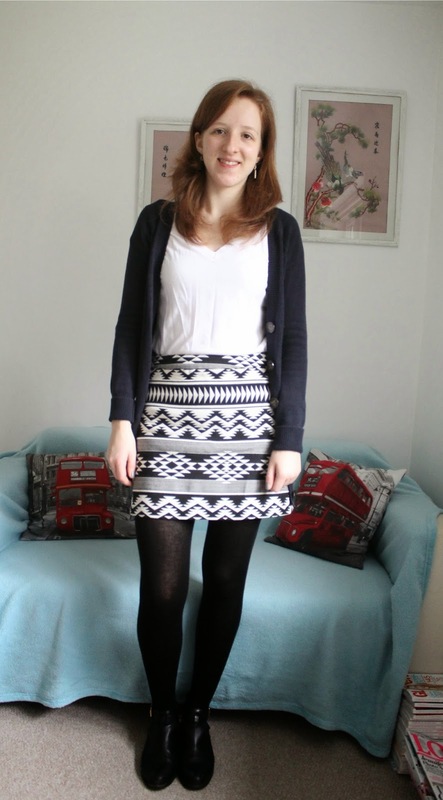 Even though I am a skinny jeans girl through and through, I can't help but adore this A-Line aztec skirt from Topshop. Made from the thickest material ever, this skirt has been a major game player in my all-trouser wardrobe. You've probably seen it crop up a lot in my OOTD's but I think a good fitting skirt that you can work with many different outfits is definitely a keeper. This pink loose fitting skirt was a new discovery this year. It's always been buried in the back of my wardrobe, but I found it after looking for something that's not too short, but still wearable for work. 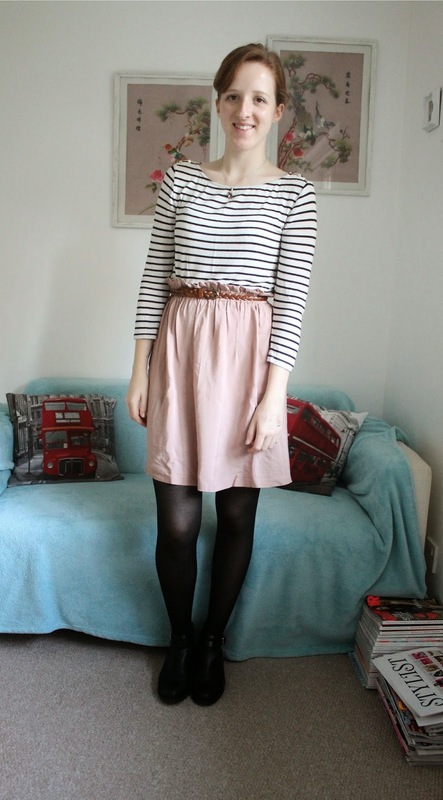 It works perfectly with a stripey top and I know I'll be getting a lot of wear out of it for summer too! We're now delving into the accessories area, which was probably one of my hardest to narrow down! I've blabbed on about this New Look winter scarf enough times to have actually made my own scarf. It was a Christmas present from a friend last year and has saved me from winter winds and rain. It's reversible, so one side is black and whiter tartan and the old blue and green tartan, or as my sister would say 'ginger friendly colours'! Because it is so big, it also doubles up as a cosy blanket, so a must-have for those who feel the cold more like I do. And even during summer I'm still wearing scarves. 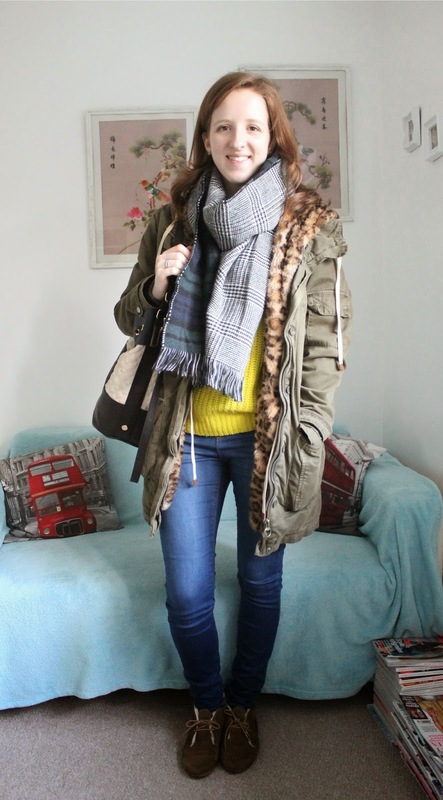 This time more lightweight and a little more jazzy, like this classic Primark scarf. It's a hot pink shade with tiny gold detailing sewn throughout. It's great for throwing on when you really can't be bothered with jewellery, and is so lightweight that it can be easily thrown into your bag! My friend gave me the black fringed bag a few Christmases ago (they all have great tastes!) and it's been my go-to weekend bag for a while now. It can fit all the essentials, plus a bottle of water and book if you like and has a short and long strap, so you can decide which length you'd like it. I know H&M have recently brought this back as it was a great success, so I'd totally recommend investing! I really need to shop somewhere else other than Zara, but their stuff is just too good! I was lucky enough to pick up one of their famous City Bag in black a couple of years ago - and trust me, this is all that got me through college. The gazillion compartments can fit a laptop, tablet, books, textbooks and more importantly, lunch. The fabric hasn't faded or been scratched, but I did have some trouble with the zips. If I could've fit three pairs in, the other would've definitely been my Converse! But these two have been my absolute staples for work and college, so they deserved a place in my Wardrobe Classics. 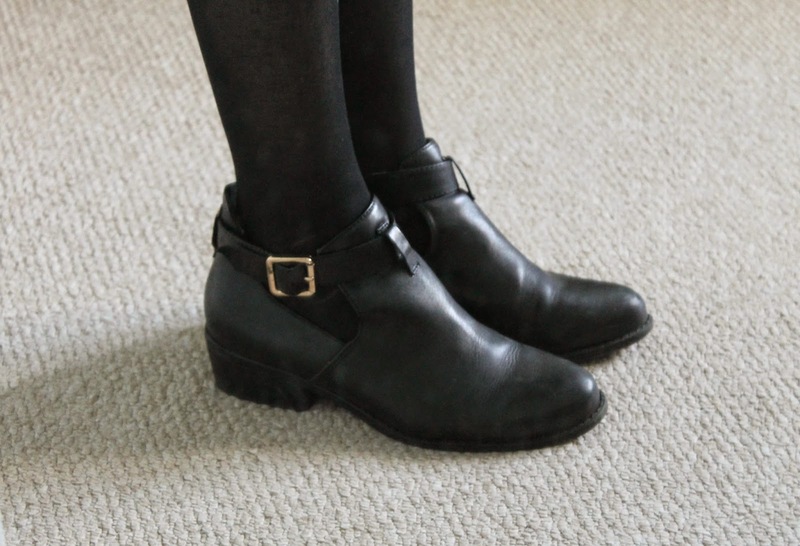 I picked up these black boots from Topshop around a year ago, and they have barely left my feet since. It was that time when cut-out boots were all the trend, but I didn't want so many holes that I only had half a shoe left! Even though I do have to be careful of puddles, I know I'll be getting these boots re-heeled once they've given up on me because I can't stop wearing them! Because I'm obsessed with shirts and masculine tailoring, I picked up my first proper brogues from Clarks last summer. These are the Hamble Oak in Dark Tan Leather and are £60, so a great investment for work wear. These have hardly changed since I bought them, and I have worn them a lot. Even though Clarks reminds me of getting a new pair of school shoes, you know you'll be getting a pair of long-lasting shoes with them. And breathe! 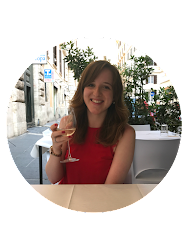 That's the final installment of my Wardrobe Classics, click here to catch up with part 1 and let me know what your wardrobe classic is in the comments!